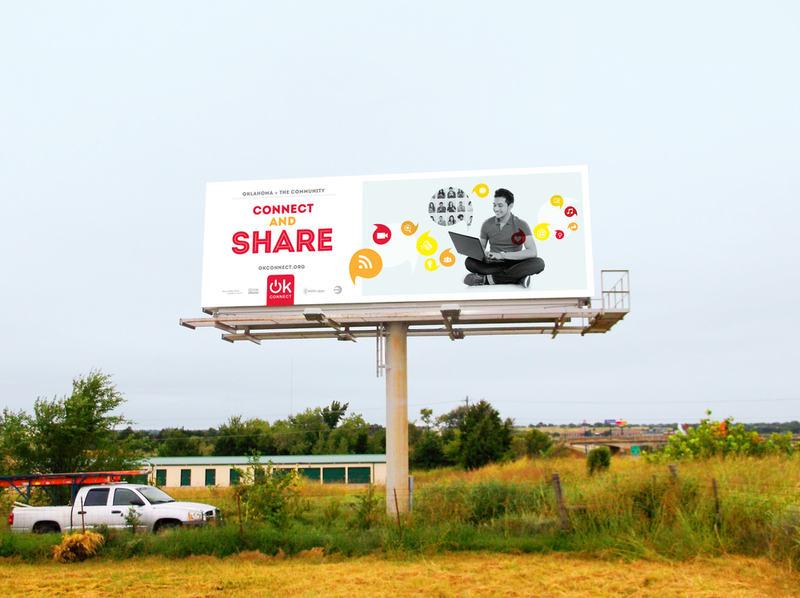 OK Connect provides high-speed broadband access, video conferencing and educational resources for all Oklahomans at each of the state’s 44 public libraries. The challenge was to position the libraries as a modern, tech-savvy, community-oriented social hub—the antithesis of the traditional, "yesteryear" perception libraries currently embody. As the agency of record, NEO conceived the naming, messaging and brand platform for all of the organization’s external communications channels. All deliverables were imbued with an educational and aspirational tone, promoting OK Connect’s vision to its audience and partners. A bright-red logo mark, with its ubiquitous on/off button, boldly communicates OK Connect's goal: to provide high-speed broadband access to everyone. The robust website serves as the primary resource for all audiences and promotes the organization’s mission and services. A wealth of educational resources engages all users: video conferencing, job searching and training, networking opportunities, and access to government and health services. Content-driven features like “Find Us” helps users locate the nearest participating OK Connect library; and an Events Calendar promotes upcoming activities at all libraries. Using the headline “Connect and” reinforces the organization’s name and mission with minimal copy and maximum impact. Engaging images of target users connecting with others through technology underscore the vitality and relevance of the library experience. Capabilities brochures, posters, banners and library signage bring OK Connect’s online presence into the physical world. All users are encouraged to congregate, interact and learn through the various services offered through these materials.